Item Weight 2lbs 2 oz. / 2lbs 4 oz. Are you an obsessed hiker, kayaker, or adventurer who likes to explore by wandering around the territories? Or you like to travel in order to enjoy your free time? When you think about these different situations, you need to think about the stuff you are going to carry along with you. You definitely need a backpack to gather all of your stuff. But whether the bag would be an appropriate one or not, if this bag can carry the stuff you have, would it be durable or not, these questions might hit on your mind by the time. So, you need an appropriate backpack at first. With Vapor current and HDPE sheet technology, Granite Gear crown 60 backpack is the ultimate solution for your travelling and hiking convenience. But you need to be certain whether you can sum up the positivity on this product or not. Are you intent enough to buy this? We’re going to recommend you some acceptable answers before you purchase this product. Can you think of purchasing this Granite Gear crown 60 for its improved and basic performance? We think you should know better than that. Read below what we have recommended for you. Whether you are an active traveller, adventure lover, and hiker or likes camping, you need to have better stuff where you can carry all of your essentials for a survival situation. A backpack is one of the essential stuff you need on travelling. Just make sure you have the right and suitable backpack in order to carry on your stuff on the way. So, we recommend you to have a look at Granite Gear Crown VC 60 Backpack. The suspension vapor current features molded back panel with channels that enables you to circulate air from bottom to top. The advantage of convection helps evaporative cooling. The high-quality polyester stretch mesh fabric is used in backpack’s pocket, so it can take considerable weight in the pocket section. This granite gear backpack has interchangeable belts, so you can use both belts in different circumstances or if you need to try a different color, you can use the other one. The removable frame has a die-cut HDPE sheet that ensures the quality strength with high chemical resistance and low water absorption. This sheet supports loads up to 35 lbs. 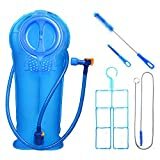 The internal pocket can hold the hydration reservoir, so you can have hands-free drinking while you are hiking or on the way. The dual density padding enables you to have a dense padding structure. It also helps to hold the contours of the user's shape and ensures longevity. Question : Is this backpack suitable for BV 500 bear canister? You can vertically fit the bear canister inside the backpack. This would make your backpack bulky. Question : Can I use this backpack for carrying 4 gallons of water? This crown V.C. 60 pack has the ability to carry multiple gallons of water; you just need to have proper containers. Question : Is this backpack suitable for women? This bag used to have women’s version, but still it is a great choice for women as well. I had a couple of backpacks that I used to have. I purchased this pack for the purpose of hiking in the street of California. The bag comes with interchangeable belts that I have used in case of different circumstances. The current vapor tech provides the circulation of air in the case of the long and tiring walk. There is also a water bottle pocket which is called hydration port that I have used in between my hiking. I was in fear of getting water dropped on the bag that I have carried in hydration ports, but the HDPE sheet of this backpack has a low water absorption rate. I observed this in real time, and the performance was exceptional. The only drawback I have faced is, the hydration pocket gets a bigger time to time. In a word, I have been reviewing this Granite Gear Crown VC 60 Backpack for a longer period of time, and I found no issues. 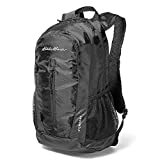 This granite gear backpack offers durable fabrics and higher weight capacity which gives it a distinct meaning within all backpacks out there. The backpack is lightweight and has great quality. It contains a lot of pockets and zippers that enables me to slip my essential things into the back section against the brace. The color of this bag is luring, and the design is simple, so it defines the manufacturer to have thoughts on developing the structure of the bag more than the design. The straps and belt of this backpack are easier to use because of comfortable holding capability and straps or belt gets formed into a user's shape for convenient usage. Although we were more than judgmental about the product than most customers on Amazon did. 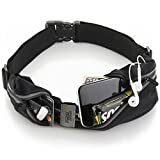 Its excellent 3.9 stars with average feedbacks from real buyers should be enough to make a decision about Granite Gear Crown as a better product, but some specific users went exceeding the average positive lines as they posted their harsh experiences because of not large enough hip belt. 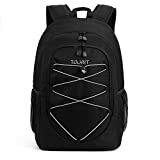 However, this Granite gear backpack is durable because of vapor current and dual density padding within the belt and shoulder straps that are the strong beneficial features of this product. So, you know every detail of Granite Gear Crown VC 60 Backpack, and it brings us to make the final findings of this product. You might be waiting for the outcome that would keep your interest awaken. When we examined this product for an ample amount of time, later, we made a decision that this product could perfectly work with effectiveness in different situations. As this product features HDPE sheet that provides and also it has carbon steel that ensures rust-free coating; so, Granite Gear Crown 60 Backpack is surely a better product than most of the backpacks out there.